The SSU UK has it's own YouTube channel and there are some videos hosted on there. They feature Denis Casey Sensei, Yamada Sensei, Tani Sensei, Kamohara Sensei and other's in the Shito-ryu system. The Kata bunkai demonstrated here is Tensho. Tensho kata was created by Chojun Miyagi O'Sensei and so is part of the Goju-ryu system. The name translates to "Flowing Hands" (sometimes - "rotating palms" or "turning palms). This kata emphasises the soft aspects of Goju-ryu, and encompasses continuous, flowing movements. There is little known at present about this video. More information will be added as it becomes available. It features O-Sensei Chojiro Tani from Japan in 1981. It features O-Sensei Chojiro Tani from Japan in 1988. 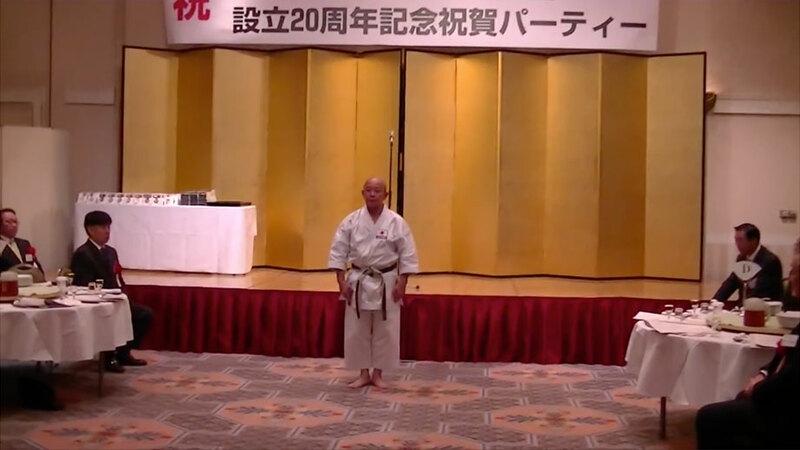 It features Sensei Tsuguo Sakumoto from Japan in 2013.